Lakeview’s trained Sunday School teachers present the gospel through Lifeway’s Explore the Bible curriculum for toddlers – 5th Grade. Nursery is also available. This curriculum takes children from Genesis through Revelation in a 3 year journey through the Bible. Kids Worship is for preschool-aged children. We have two classes: the Toddler Room (1’s and 2’s) and the Preschool Room (3’s and 4’s). Nursery is also available. We have a team of adult & youth disciple makers that provide children with a continuation of Lifeway’s Explore the Bible for Kids study with a special kids worship time and class activity time that takes them deeper into The Word. Team Kid is for preschool aged children to 4th grade. Nursery is also available. We have two classes: Preschool-Kindergarten and 1st-4th grade. 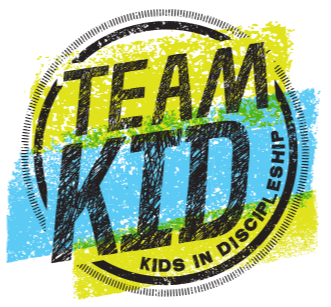 The Team Kid motto is: Learning about God Using the Bible Living for Jesus In this fun, active, high-energy curriculum, Team Kid coaches teach Bible stories, scripture memory verses and missions emphasis. The Children’s Ministry at Lakeview Baptist Church is growing and thriving and we are always looking for smiling, energetic individuals who are called to serve as disciple makers to His children! If you are a parent with young children in our ministry, a teacher, a college student or just someone who loves the Lord, loves children and loves to have fun, we would LOVE to have you join us in our Sunday morning and/or Wednesday night ministries! If this is you, then please see Children’s Director for an application today!